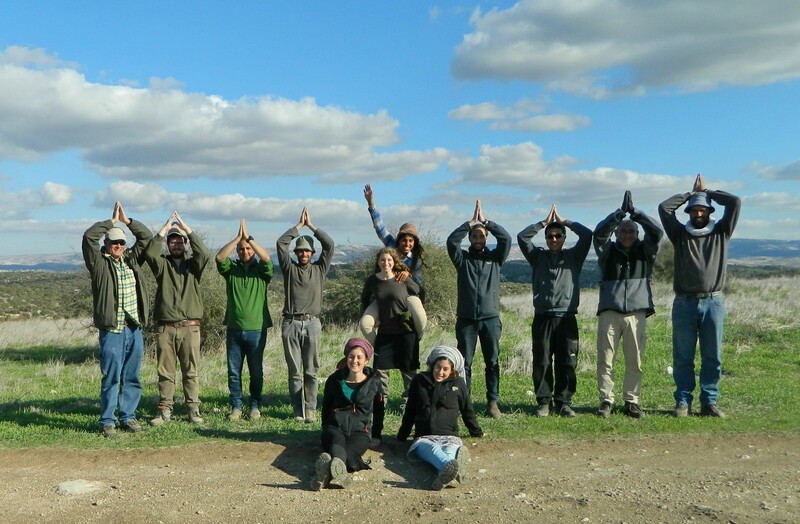 Continuing with the four-week long archaeological survey with the academic staff and students of Bar Ilan University’s Land of Israel Studies and Archaeology department, we returned once again to Tel Goded. 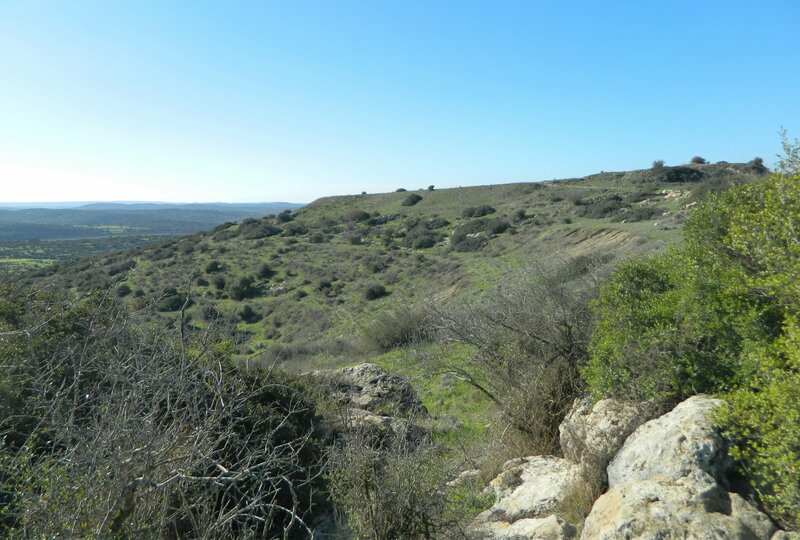 Located in the Judean lowlands, not far from Beit Guvrin and Tel Burna, the tel hosts mountaintop settlements ranging from the Bronze Era all the way until the Byzantine times. 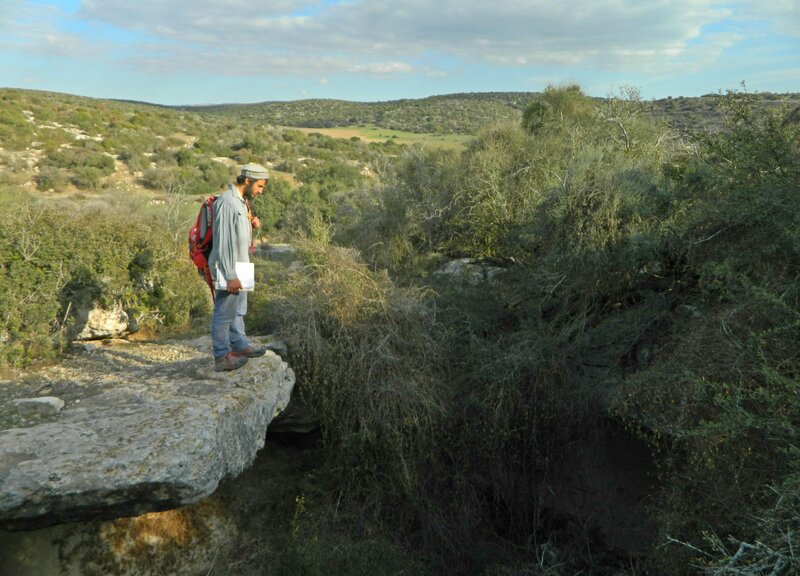 Our mission was to conduct a surface-area survey to aid in assessing the site’s value from an archaeological standpoint. 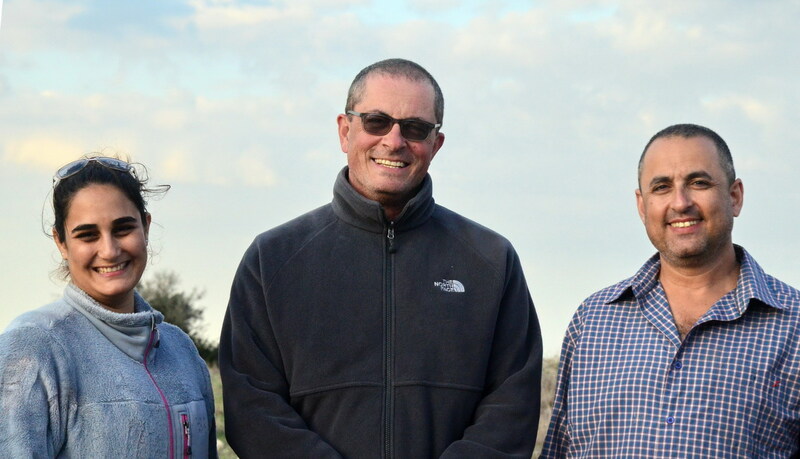 Leading the team was Prof Boaz Zissu, Dr Amit Dagan and Shira Albaz, the latter two also staff members at the Tel es-Safi archaeological dig. We arrived at the site on the third week and convened to have the weekly briefing before beginning to work. 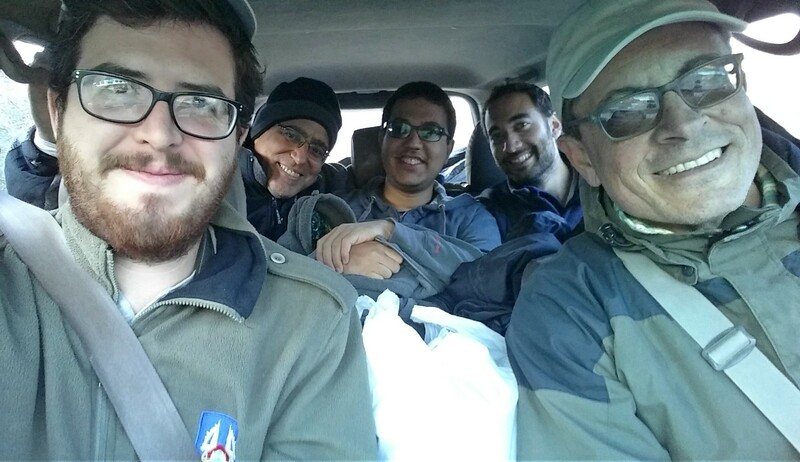 Thankfully, I was reassigned to the small cave-finding team and I set out with friends Eitan and Amichai in search of more hidden caves. But first, a quick mentioning of some flora and fauna that were seen that morning: after a few rains, especially with that of the previous week’s, the hill experienced a change that would be even more noticeable the following week. What had first been a blanket of dead, yellow-brownish vegetation had morphed into a sea of grassy green. 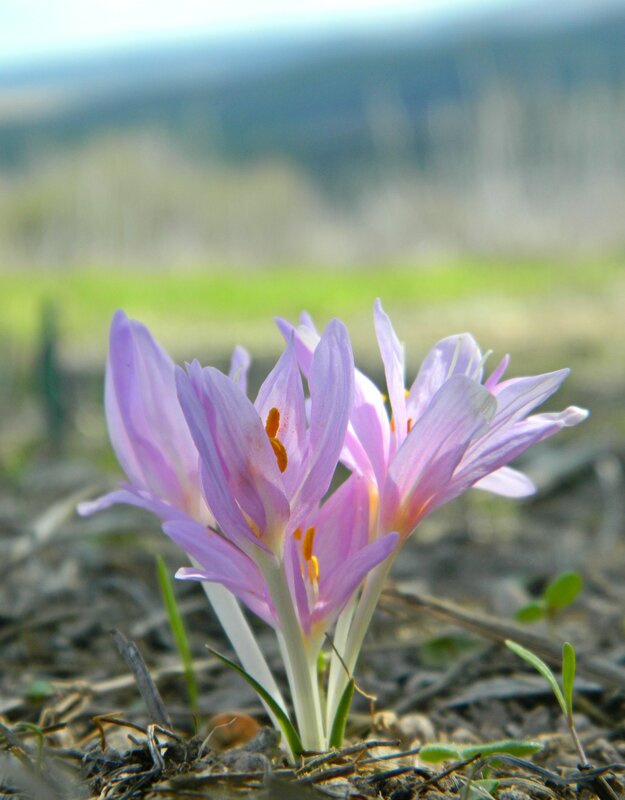 Small clusters of Steven’s meadow saffron dotted the hill, particularly on the summit, making for lovely photograph opportunities. In addition, I spotted a nice great grey shrike on my hike up the slope and the usual fare of robins and stonechats. Without delay we struck out for the caves, and found what we were looking for. Inside one, we found traces of modern human and porcupine as well as curious archaeological remains. We slipped in and out of the different holes and cracks that we found on the hillside, working our way south and having a ball. At the bottom of the slope at the southern end of the hill we came across the ancient, underground water channels carved into the rock. 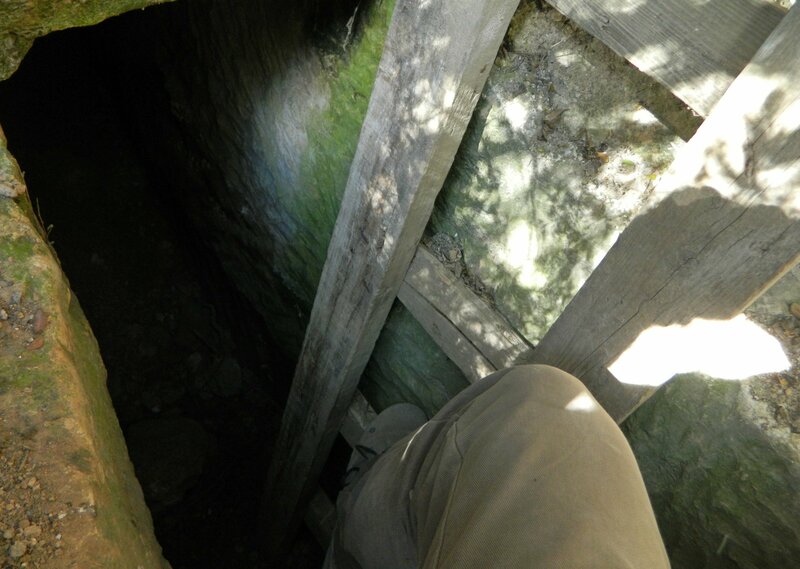 I climbed down into one, with the aid of a pre-existing ladder, and tried to make out how far I could see underground. Continuing along, scouring the area for caves, we found another part of the underground water system as well as a broken tortoise shell. Out in the field we discussed whether or not it was likely to have been broken by an eagle, several species known for lifting tortoises high in the air and then dropping them down on a rocky surface to break into their formidable shells. 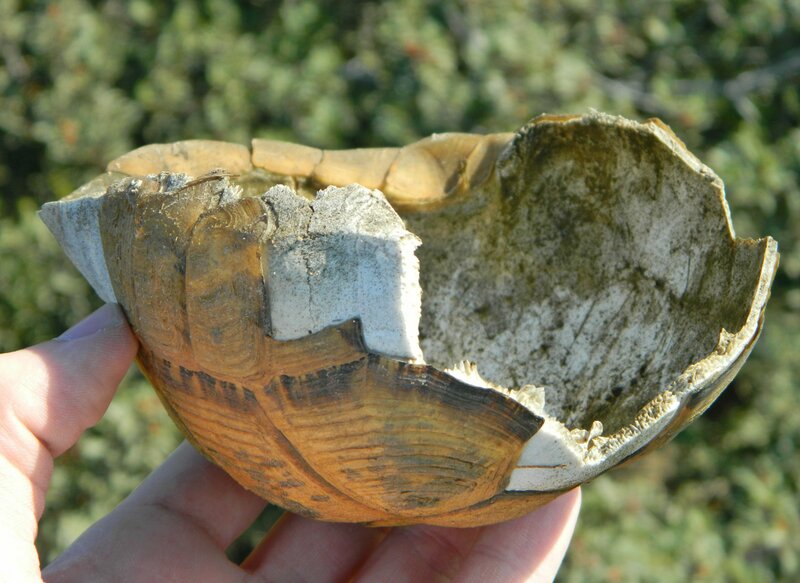 However, when I asked the experts, I learned that this shell looks like it was cracked open by the powerful jaws of a striped hyena, an apex predator that roams the Holy Land. The day was coming to an end and the three of us found ourselves near the pick-up location for our minibus, but with the rest of the team still up on the tel. We seized the opportunity to explore and returned to the Roman-age ruins that we had begun exploring the week before. 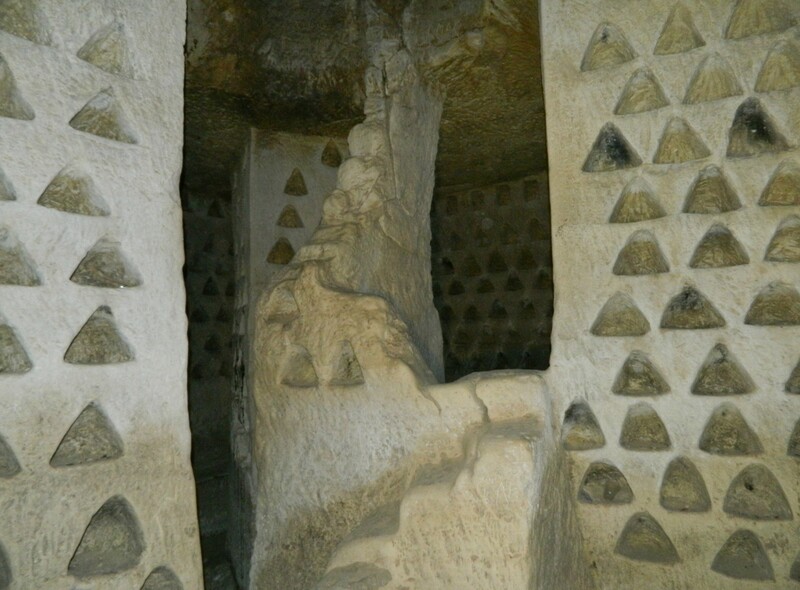 We found large water cisterns and better-known burial caves, as well as more Bar Kochba bunker tunnels carved into the bedrock. We entered one particularly windy one, with many turns to help defend against possible intruders, and found a hidden columbarium at the end—hidden in the sense that the upper entrance had been sealed off in antiquity and access can be gained only by crawling through a tight tunnel. I found the discovery to be most charming, even though the site is no secret from the general public. At last we left our hidden columbarium, crawled back through the tight tunnel and headed downhill to the minibus. We were to be coming back to Tel Goded for the final survey day the following week and return we did. The green growth after the few rains had further transformed the hill and the surface-searching became more difficult as the bare ground disappeared beneath the vegetation. But before we got to work, we had a small breakfast laid out before us to eat, provided by the department’s patron Yehuda. 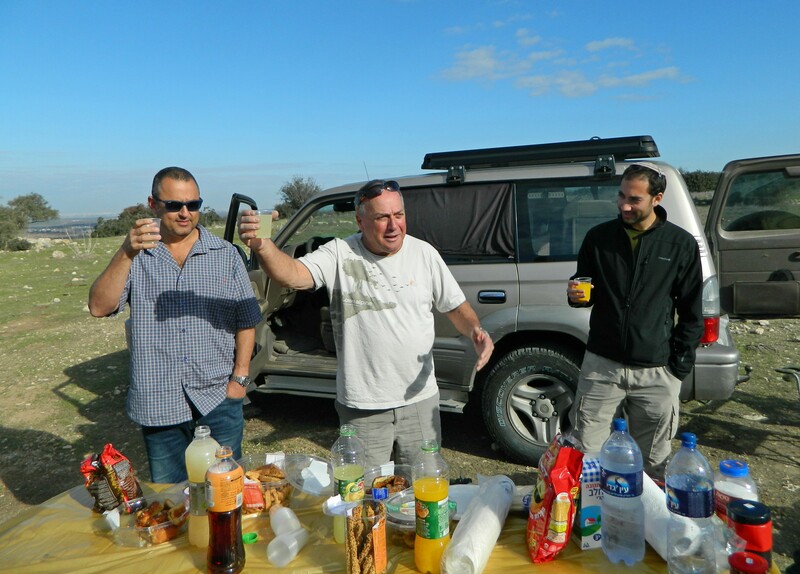 Often accompanying us on extended trips and other such events, Yehuda never fails to bring food, drinks and smiles to the staff and students as he treats us when we need it most. 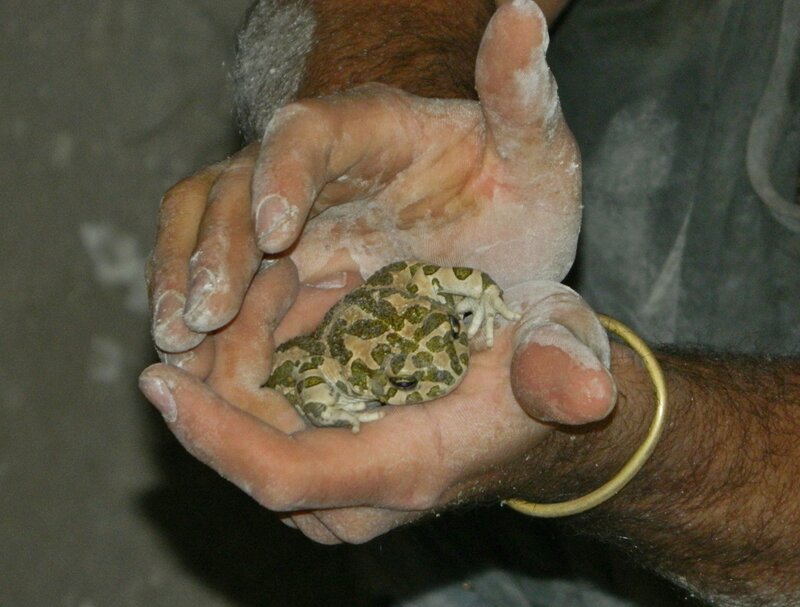 Because the cave expedition was largely over with, I was reassigned to the teams searching for surface finds. Being that this was the final day of the survey, we were now tackling the lowest level of the hilltop, and each section was entrusted with a few team members. 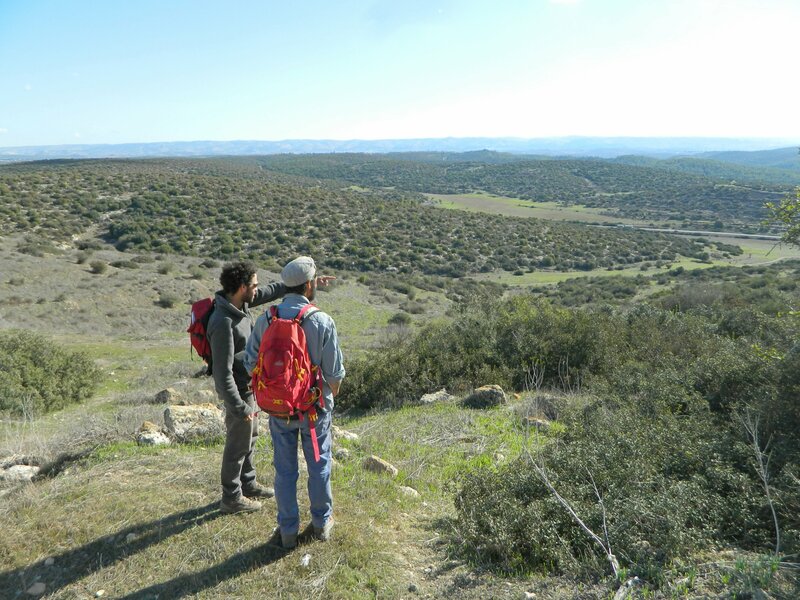 I was reunited with Itamar and Avner from the first week, and together we kicked about looking for interesting finds. While we didn’t find a terribly impressive amount of potsherds and other items of antiquity, we did find a broken digital camera, and when we took it back with us, we found that the photos within belonging to a schoolgirl and dated back to 2011. In addition, we found a cool blister beetle armed with a poisonous chemical for self-defense and an ocellated skink hiding under a rock. 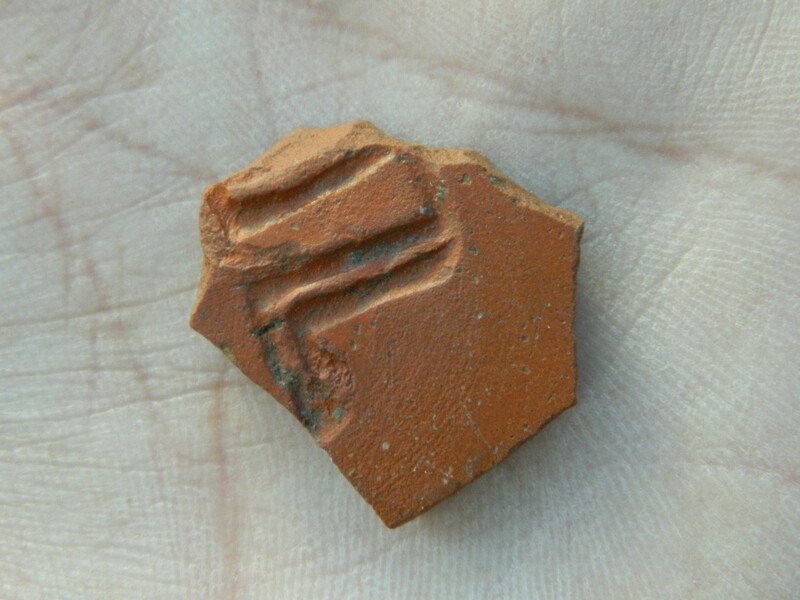 As far as potsherds go, I picked up one interesting piece that had part of a classic Byzantine cross on it, definitely an unique find surface-level. Just as we were finishing up, sweeping our eyes over the last unsearched swathes of land, there was another interesting find – this time a glass Tempo bottle, covered in plastic to safeguard against accidental breakage. Even though the bottle is only thirty or so years old, it was interesting to see such an old-looking bottle, something that nearly belongs in a museum. We then packed up all the gear and prepared ourselves for the descent back down the tel. I rode with Prof Zissu, and we took a cute selfie as we navigated the jeep down the uncertain mountain path. 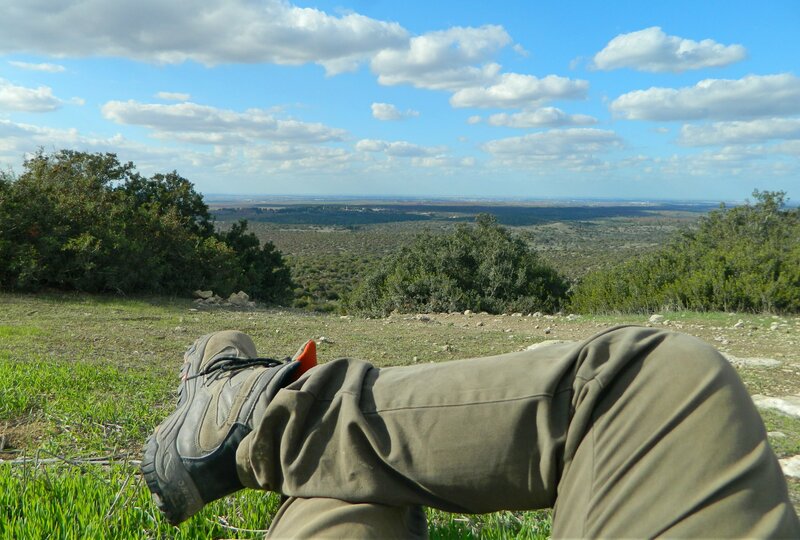 It was the end of my first archaeological survey, and I had quite the experience taking part in it. Due to our efforts, we have significant insights into the historical aspects of Tel Goded, assisting further research and enabling a more accurate planning of future endeavours. Hopefully there will be more surveys in the future to accompany the many academic trips that we as a university take several times a month.